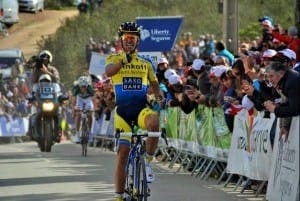 ALBERTO Contador is determined he won’t retire in 2016 if his new team wins a WorldTour licence. The seven-time Grand Tour winner hopes to raise €15 million for his RH+ Polartec development team to ride in the 2017 Tour De France. 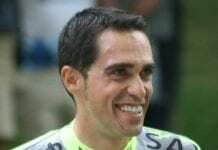 Contador’s current team, Tinkoff-Saxo, is set to withdraw at the end of this season, leaving a WorldTour space for next season. 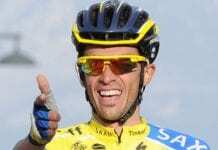 “There are two options in my head: to keep the idea of retirement that I expressed a year ago, or [ride for] the professional team that we are planning,” said Contador. Previous articleANIMAL RIGHTS FOCUS: Is the tide finally turning on Spain’s attitude towards animals? Not without blood doping and performance drugs he won’t.